يقع فندق شقق بست ويسترن أستور ميتروبول، المصمم ليناسب كل الضيوف سواء كانوا من رجال الأعمال أو السياح، في مكان ممتاز في أحد أكثر المناطق تفضيلاً في مركز مدينة بريسبان. يقع مركز المدينة المثير على بعد 1.0 Km فقط. يشكل هذا الفندق ملاذاَ مريحاً للاسترخاء ويمنح زواره فرصة للاستجمام والتجدد، وهو يقع على بعد خطوات من المعالم السياحية الكثيرة للمدينة كمثل: ‪The Old Windmill‬, كنيسة مدينة تابرناكل المعمدانية, The Windmill. ببساطة كل الخدمات وأساليب الضيافة التي تشتهر بها Best Western International تجعلك تشعر وكأنك في بيتك. يمكن الاستمتاع بمجموعة من الخدمات على أعلى المستويات في الفندق كمثل خدمة الغرف على مدار الساعة, واي فاي مجاني في جميع الغرف, خدمة التنظيف يوميًا, خدمة غسيل ذاتية, خدمة سيارات الأجرة. تتضمن كل غرف النزلاء وسائل الراحة والتسلية المصممة خصيصاً لضمان الراحة القصوى للضيوف. يمكنك طلب اللائحة الكاملة للخدمات في الفندق ومن بينها حمام سباحة خارجي. مهما كانت دواعي سفرك فإن شقق بست ويسترن أستور ميتروبول هو خيار ممتاز لإقامتك في بريسبان. Service was great at the late hour of our check in. Very happy with my stay. Mix up at check in but was sorted in 5 minutes. Pool unfortunately was like a death trap. Putty around lights and stairs that had come off. Value for money for the room and breakfast, just don’t use the pool. Location is superb. Just a walk away from free bus ride. 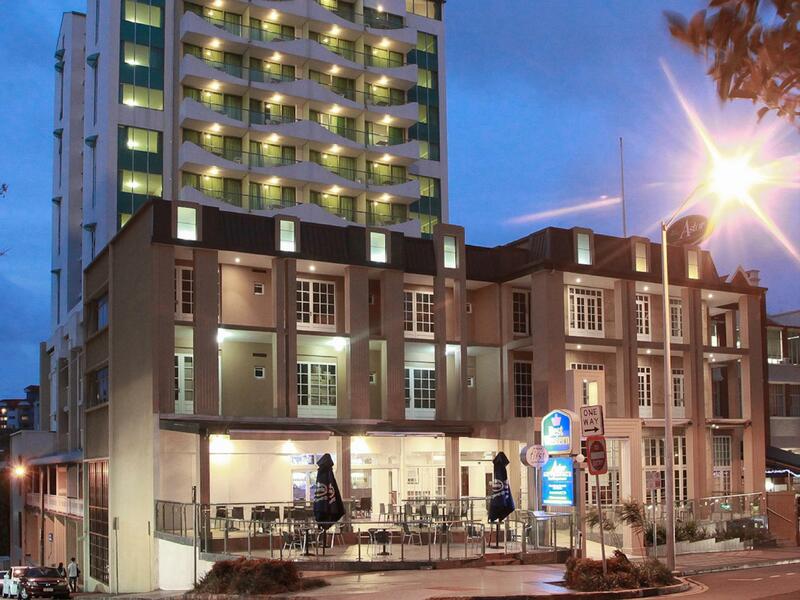 Great location, walking distance to Queen street mall where there are plenty of F&B & shopping. Chi na town is short drive away. Near train station <===> airport. Washing machine in apartment. Ours with a balcony & that's great place to chill out. Common dryer in hotel which means minimal clothing to bring. Short walk to Roma parkland where certain major events may be held. A convenient shop beside the hotel to grab basic needs. Breakfast easily available at near by hotel. Coles & Woolsworth supermarket in Queen streets. Plenty of eateries surrounding this hotel. Only disappointment is the cold pool on level 3. It will be heaven if it is heated. Cannot even last 5mins in the pool during our stay in Dec. Tried everyday during our stay at 3 different timings but water is still freezing cold. Good Hotel location with 10 mins walk to the shopping belt. Apartment is a little dated but all the facilities are there. Got to be aware of the Car park thou. It is limited and also uses a car parking system to hold multiplies parking capacity inside a parking lot. 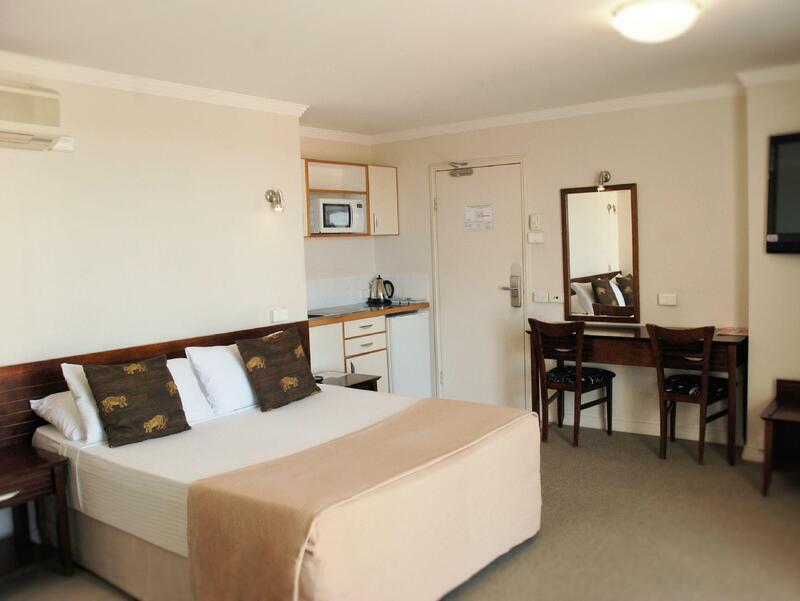 Location of hotel is great, walking distance to hustle and bustle of Queen Street Mall. Bus stop about one minute walk provides a FREE (local) loop bus which will also take you straight into the mall. Room was neat and tidy, pleasantly surprised when I realised my room had a bath and balcony. The rooms are a bit outdated but comfortable. I would stay again. It's a bit up-hills, but located on the quiet side of city. Good park nearby to have a relax walk. Check in was a bit of issue, didn't get the room I booked for, the remedy didn't act smoothly. Nevertheless, price meets the standard. Not a bad stay. Location to train station, familiarity with area and value for money. Totally enjoyed stay again. Have stayed many times over years. Stayed this time with my young son. Locality to Central Station makes it very good when coming in on a flight and catch airport train to Central and only a 3 minute walk to hotel. Staff always friendly and special mention to Navi. Will continue to stay here as locality and value for money exceptional. parking was cheap. the rooms were reasonably clean. when we arrived to check in, there were no staff to be seen. we waited over ten minutes until someone turned up to check us in. food was good and quick delivery. but i would look for somewhere with better service. Good location to CBD if u dont mind walk up little bit, quiet neighborhood, spacious studio but nothing fancy, slow wifi, thin wall, only washing machine in the room without dryer, cleaning service always bangs everything in the morning when cleaning other rooms, dusty floor and pet feathers on carpet. Breakfast was poor. Chef cooked most fried items with way too much oil. Could not eat bacon, fried rice, eggs and breakfast host came out with a bull crap story that was the way everyone cooks this food everywhere. Nice cozy hotel with a small kitchen for simple cooking. Utensils is provided. 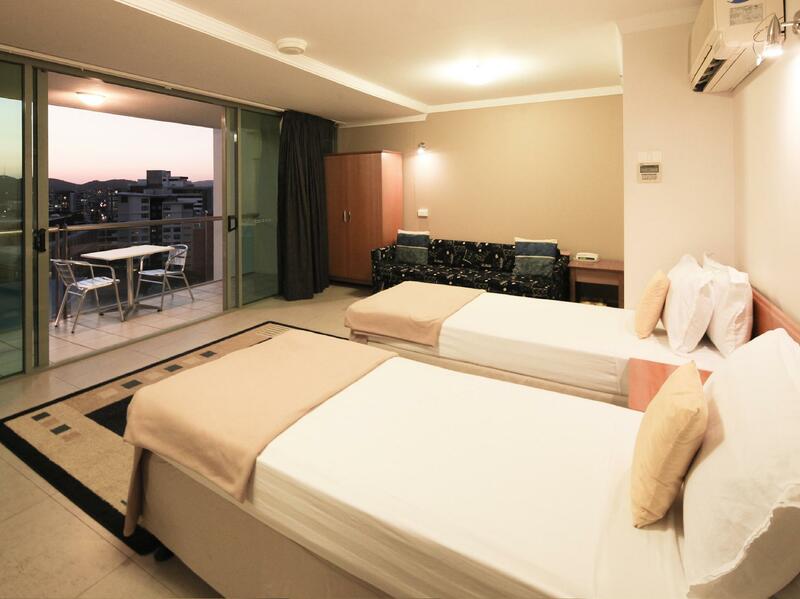 Location is great and its just near to the main attractions. Value for money. Was an easy walk up the hill from Central (I'm fit so not a problem but it is quite a steep hill). Room was spacious, everything was clean and comfortable. Perfect for what I needed. nice and convenient location. booking super easy and quick. The room is quite big with table,chairs and sofa. Also they have pots and stove so you can cook something in the room. The toilet is clean as well. However, everything is too old including pots, stove, furnitures and building. Except those it is not bad- simply good!! Would stay again, room very comfortable. Lack of nearby restaurants was a problem, could be access issues for less mobile guests as there are very steep steps walking up and down to the city centre. I stayed during Easter, I would give Brisbane a miss at this time in future, most local businesses closed, difficult to get meals at reasonable cost and quality. But this hotel is a comfortable option. Rooms don't have limited cooking facilities only a microwave, that is all. The facilities are very worn down and plumbing noises woke me a couple of time throughout the night. There was also a see-through white blind that was supposed to make-do as a curtain which didn't block any light day or night. On the plus side the lobby and bar looked very schmick!